1,400 pounds – that’s the total weight in trash that 150 Penn State Behrend students, faculty members, and staff cleaned out of Fourmile creek during last year’s International Coastal Cleanup. 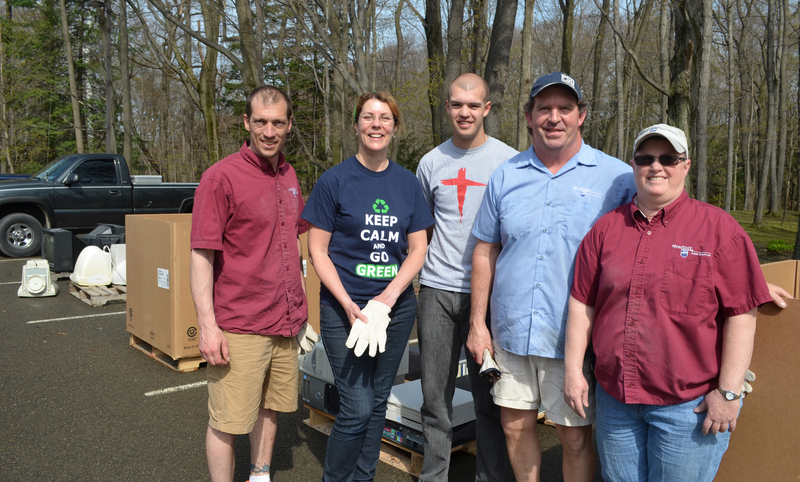 From the headwaters of the creek at Hartman Road in Greene Township through campus (Fourmile is the creek that runs through Wintergreen Gorge) and on to Napier Park in Wesleyville, volunteers collected 63 bags of trash and 58 bags of recyclable materials. The Pennsylvania-Lake Erie International Coastal Cleanup is an annual event in which volunteers collect garbage from more than a dozen sites in Erie County, including Presque Isle State Park. This year’s cleanup event is scheduled for Saturday, September 21 from 9:30 a.m. to noon. Can you help? Faculty members and staff are needed to help lead student groups. Community members and children are welcome to participate, too. Bring the whole family! Volunteers will meet in front of Reed Union Building at 9:30 a.m. All necessary materials (gloves, trash bags, etc.) will be provided, and you’ll also get a free T-shirt and a free lunch at Bruno’s after the cleanup. Word to the wise: wear boots and/or shoes that can get wet & dirty! If you can volunteer, please contact Ann Quinn at abq1 at psu.edu by Saturday, September 14!